One of the reasons that fall is such a great season is it’s the time of year when Halloween takes place. This holiday is special for most because it provides spooky fun for both children and adults. Although there’s a lot for people to like about Halloween, it’s important to be aware of its potential downsides. The issue we want to focus on today is why Halloween can be a stressful experience for dogs. While dogs with an anxious personality are especially prone to having a less than stellar time on Halloween, all the increased activity of this holiday can create stress for just about any dog. 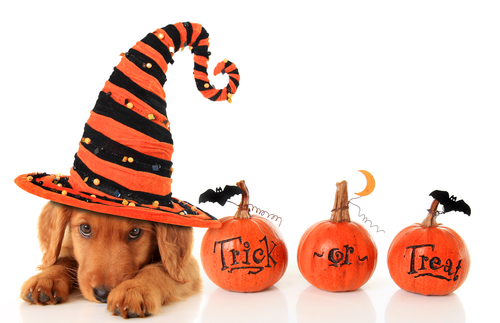 One of the most important things to remember about Halloween night is due to all the extra noise and activity going on, there’s a chance that your dog will panic. If that happens, you don’t want your dog to take off in a state of confusion. That’s why it’s worth double-checking your home to ensure there aren’t any spots where that could happen. Regardless of whether or not you’re going to be home on Halloween night, you can help keep your dog calm by creating a quieter space for it. Opting for a bedroom or other spot that’s farther back in your home is ideal. You can create a space for your dog to rest and put any items like toys that it really likes. In terms of dealing with the noise, turning on a TV or radio and also a box fan works well for creating a consistent murmur that will drown out other random sounds. While there are some dogs who do fine in crowds and won’t be bothered by things like kids running around in masks, plenty of dogs will get overwhelmed by that type of environment. So if you have any concerns about your dog’s ability to handle stress, the best option is to let your dog stay in the comfort of your home. 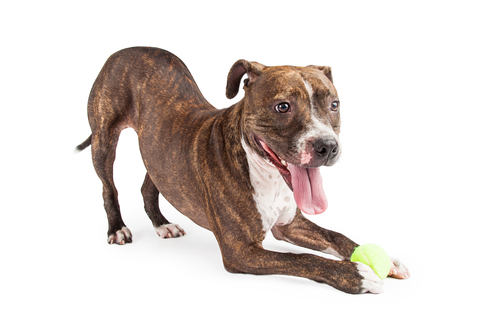 Most dog owners know that candy and dogs are a potentially dangerous combination. However, given the increased amount of candy that may be around your home this month, we simply want to remind you to keep these goodies in a secure spot where there’s absolutely no chance of your dog reaching. If you feel guilty about everyone else in your household getting to enjoy Halloween sweets, you can include your dog by giving it one of our tasty dog treats ..